Garth Greenwell is the author of What Belongs to You (Farrar, Straus & Giroux 2016). Master Class: February 15, 2 p.m. , SunTrust Auditorium. 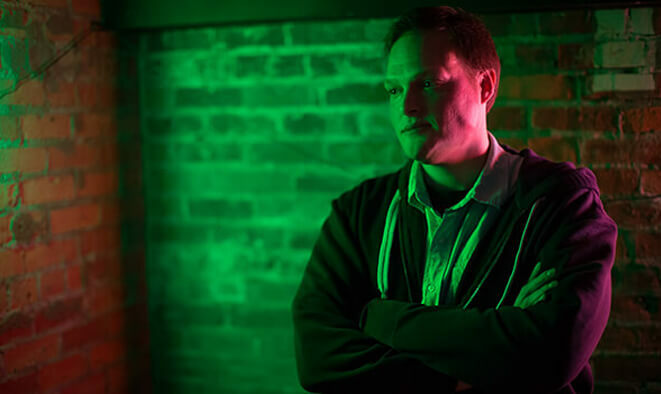 Garth Greenwell is the author of What Belongs to You, which won the British Book Award for Debut of the Year, was longlisted for the National Book Award, and was a finalist for six other awards, including the PEN/Faulkner Award, the James Tait Black Memorial Prize, and the Los Angeles Times Book Prize. A New York Times Book Review Editors' Choice, it was named a Best Book of 2016 by over fifty publications in nine countries, and is being translated into a dozen languages. His short fiction has appeared in The New Yorker, The Paris Review, A Public Space, and VICE, and he has written criticism for The New Yorker, the London Review of Books, and the New York Times Book Review, among others. He lives in Iowa City. Co-holder of the 2018 Irving Bacheller Chair in Creative Writing at Rollins College.